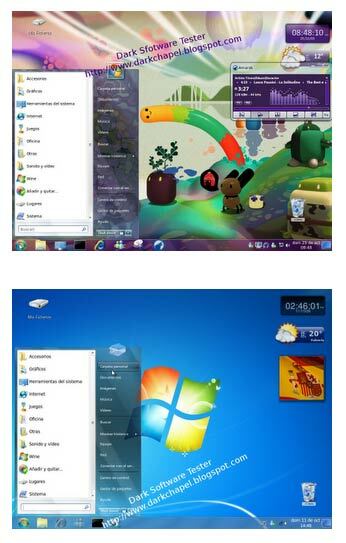 Are you a regular Ubuntu user and amazed by glitzy user interface of Windows 7 operating system? Now you can keep working on Ubuntu and enjoy the visual appeal of Windows 7 using Win7 Transformation Pack for Ubuntu. It renders Windows 7 operating system look to your Ubuntu powered system. The download package contains customized elements like: GDM theme, Icons Theme, GTK Theme, Wallpapers, Sounds, Gnomenu theme, Panel Backgrounds, Cursor theme and DockBar. So, if you happen to use Ubuntu – download Win7 Transformation Pack for Ubuntu and visualize the change in user interface. Do share feedback after the pack install! ok , i have downloaded it and extracted it also. now what do i do from there? theres so many folders in the extract. what is what .which is which and where do it all goes to? I can see this being used a work, to hide the fact i may be using linux, and not the corporate windows crap.